Brianna has lived in Austin, Texas since 2001. She began working with Austin Pediatric Surgery in 2009. 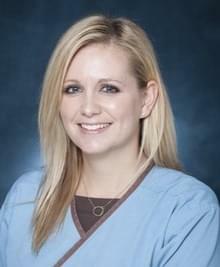 She enjoys working with pre- and post- surgical patients and caring for hospitalized children and families. She enjoys golfing, boating, reading and spending time with her husband and son. I grew up around medicine - my father is a veterinarian. I always loved science and wanted to incorporate that with my passion for helping people. I found my way into nursing as a freshman in college and have never regretted this decision. I went to graduate school to become a nurse practitioner but have never lost the vital skills that I learned as a bedside nurse. I enjoy working with both surgical and trauma patients. Taking care of children is my passion and making sure that they get the best care possible is always my goal.